I’m one of those moms. You know, the kind that try not to be helicopter moms, but on the inside still want to jump out and protect their kid every second. I stand back and watch my kids as carefully as I can without smothering them. While placing them each in bubbles is tempting, I have not. The best way to ease my mind but give my children freedom is to teach them every aspect of safety that I can. So when I was given the opportunity to review the book Look Left, Look Right, Look Left Again from Greene Bark Press I was intrigued. A book about safety? Sounds good. But would it keep the kids’ attention? That it did! 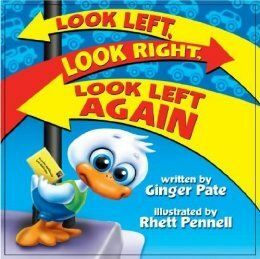 Written by Ginger Pate and illustrated by Rhett Pennell, Look Left, Look Right, Look Left Again is a board book about a little duck named Wally. Wally is a lovable little character who wants to mail a card he has made to his Grandma, and eventually visit her. But to do that, he has to learn to cross the street properly. Wally’s mom helps him learn how to do this, guiding him a long the way with cute little phrases and corrections. The pages are full of color and eye catching illustrations, while the story includes sound effects for the reader to sound out. Not leaving out humor, the book drills the message of how to appropriately handle being a pedestrian in a few different scenarios home to young children, emphasizing the importance of safety. If you have a young child this is a great book to add to your collection. It doesn’t seem preachy, dry, or boring at all. The kids love the story and it brings a great message. 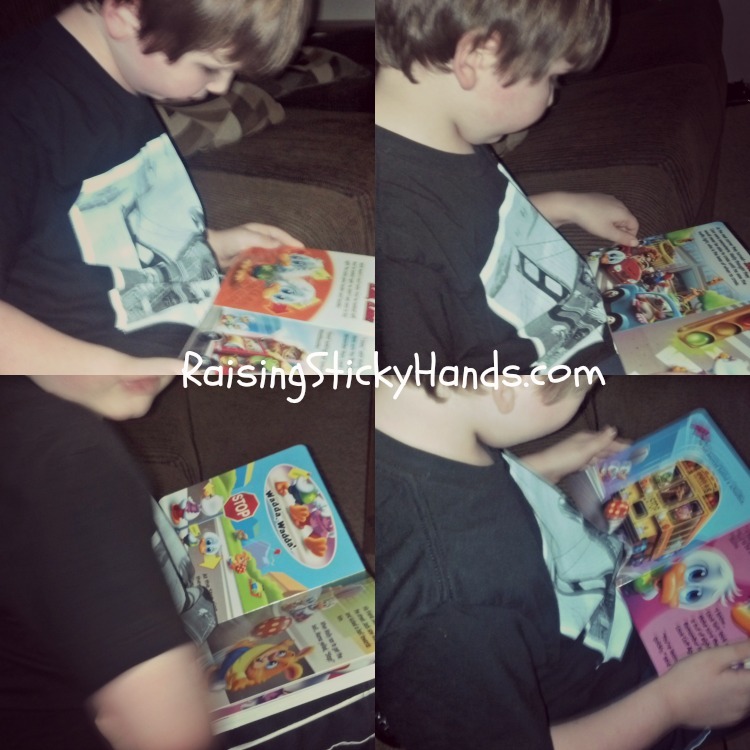 Priced at $8.50 and made with sturdy board, it would make a great book to keep in the car or stroller.